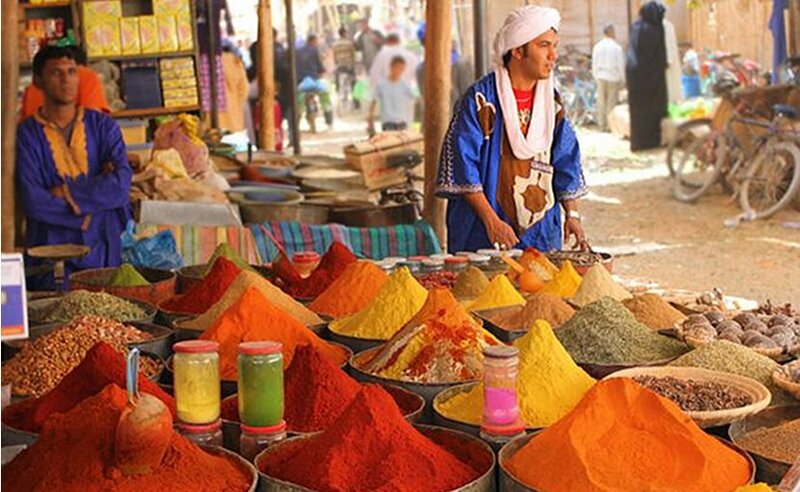 Morocco is viewed by many as an exception to the norm of the Middle East and North Africa (MENA) region. The extent to which this claim is asserted varies, but one thing is certain, Morocco is at the very least unique in the region in its governance and culture. In order to understand the claim of exception, a definition of the norm must first be established, so what is that norm and how is Morocco different? What Is That Norm And How Is Morocco Different? Societies in the MENA region tend to be very traditional and Islam is often used as a barrier to reform in civil rights. There is an aversion to secularization and Islamist groups thrive in the cultural environment. Morocco is still authoritarian, but much less severely so than its peers, and is arguably on the path to democracy. The Arab Spring, while destructive in many countries, has led to meaningful reforms in Morocco with very little unrest. And finally, Morocco has virtually no serious threat of Islamist groups. Of course, defining a norm for a whole region requires painting with very broad strokes and each state has its own discrepancies. Furthermore, Morocco seems to fit some of the norms. So is the “Moroccan exception” blown out of proportion? perhaps it is, but the subtle differences that set Morocco apart go a long way to shaping its present situation and its future. But the purpose isn’t to argue about Morocco’s exceptional status, but rather look to its past to identify the root causes of this notion in order to better compare it with the rest of the region. The first root cause, and the oldest, is the influence of Jewish and Amazigh culture, hereafter referred to as the Judeo-Amazigh substratum. North Africa’s indigenous population of Amazigh people have the strongest historical influence on Morocco’s culture. After the fall of the second temple and the Jewish Diaspora in 70 AD, Jewish tribes began to spread across North Africa and many found a home in Morocco. The Jewish people and Amazigh were both tribal, nomadic, matrilineal, and had democratically elected ruling bodies.iv Because of these similarities in tribal structures and the Jewish people’s ability to adapt to different cultures while holding onto their religious and cultural identity, the two groups flourished together. Jews brought artisanship and the concept of monotheism to the Amazigh and in return were taught agricultural techniques and the concept of sainthood. This culture would change again when Islam reached North Africa. Arab society was also tribal in structure but there were a few key differences. Firstly, it was non-democratic, power was based on wealth and military strength. Secondly, it was strictly patrilineal and women had little place in society. In other MENA states this societal structure remains today much as it was in 700 AD, with Saudi Arabia being the best example. However in Morocco history took a different path and turn. When the Arab conquerors finally defeated the Judeo-Amazigh resistance in 710 AD the traditions of the Judeo-Amazigh society were already so established that many aspects of society remained the same. While tribes became patrilineal, the role of women was not diminished, and in many cases Women called the shots and ruled through their husbands and sons. 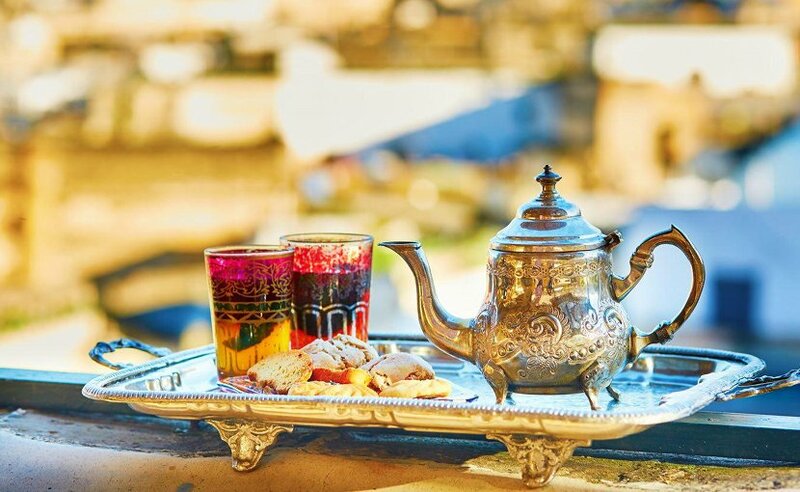 Additionally, the traditions of religious coexistence persisted and Moroccan society enjoyed mostly friendly relations through the first half of the 20th century. The unquestionable nature of Islam is essential to the legitimacy of Islamist groups, so when Moroccan Islam inherently raises some questions Islamist platforms stop making so much sense. The influences of the Judeo-Amazigh substratum are not concrete, and for the most part lie in the inter-subjectivity of Morocco’s cultural identity. 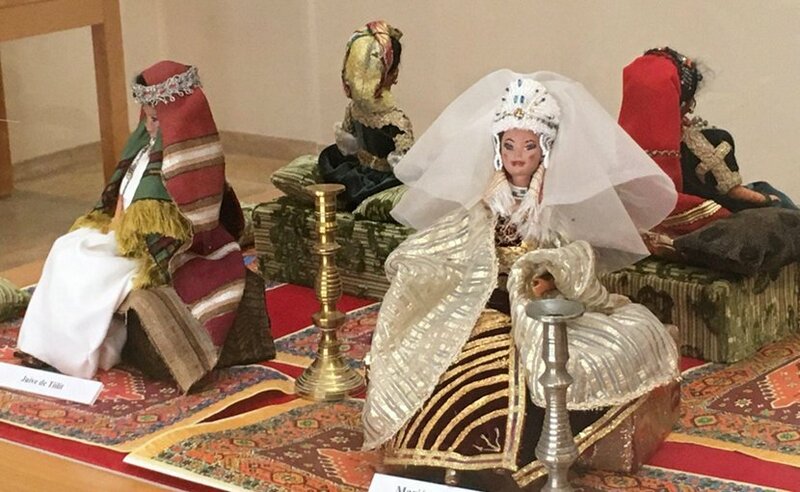 All the same, this unique cultural evolution is the first place where Morocco began to set itself apart from other states in the region. The second big root of exception is Morocco’s system of Makhzen or Traditional Monarchy. In a country as big and diverse as Morocco is, the one main thing that unites the people and provides a sense of national identity is the king. 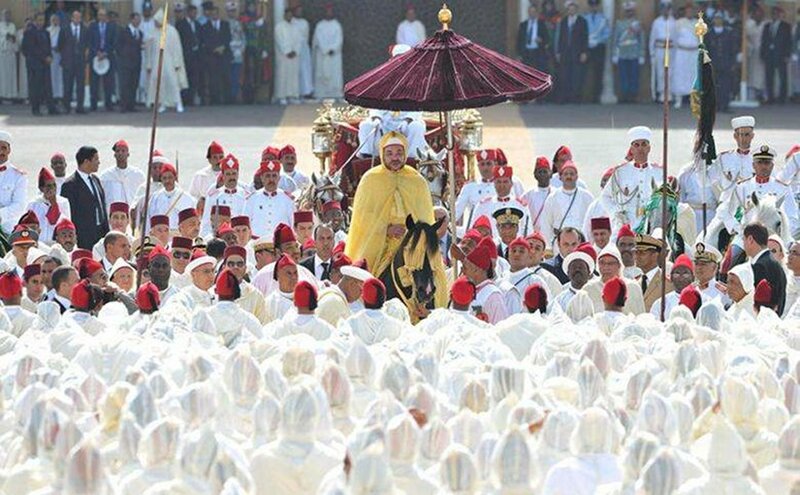 But what sets the Moroccan Monarchy apart from other Middle Eastern monarchies is that the king has more than just historical legitimacy, but also religious legitimacy. The king’s role as Commander of the Faithful (amir al-mu’minin) not only unites the country through religion, but also undermines Islamism without much need for violence. In many other MENA states, secular, authoritarian governments that rule through military legitimacy (Algeria, Egypt, Libya, Yemen, Syria, etc.) find themselves at odds with popular Islamist movements that form in the religious vacuum. These opposing forces often engage each other with violence, and in cases like Algeria’s civil war, this has devastating effects.vi In Morocco, because the king, the nation, and religion are all virtually the same thing, there is simply no room for radical Islamist groups to form. The Moroccan monarchy is responsible for part of the Moroccan exception, but in some ways it appears to follow the norm, after all, it is an autocratic regime. This is certainly true, but Morocco is, also, well on its way to democracy through progressive devolution of power since the Constitution of 2011. So why is this happening in Morocco but not in other countries? To begin, the Moroccan monarchy never really had to be harsh or despotic to maintain legitimacy to rule. Unlike other MENA states who’s oppressive rulers came to power through violence and military strength, Morocco’s monarchy had significant historical and religious legitimacy to base its claim to power. This answer to the question of legitimacy has continued to aid the monarchy to this day. Another difference in Morocco’s style of authoritarianism is a preference for cooptation over coercion when dealing with the opposition. In a way it is a traditional form of power-sharing. It is true that during the so called, “Years of Lead” the government of Morocco was much more harsh in its treatment of perceived threats to its power, however the trend today, and for most of Morocco’s history is to co-opt the people that threaten to change the status quo. Lastly, Morocco may be authoritarian now but the current King is committed to a slow, calculated shift to democracy. Other authoritarian rulers in the MENA region attempted to hold onto their power at all costs and now in the aftermath of the Arab Spring many of them are dead or gone and their countries in ruins. Morocco is lucky to have a ruler with the foresight to avoid this particular fate. Morocco was, also, very lucky during the period of colonization. Due to the historical strength of its empire, Morocco was for the most part overlooked by France and was never much of a target for colonization. The focus was much more on Algeria and the results there were catastrophically violent. Morocco was only really colonized on a second thought spurred on by petty international feuds. The style of “soft” colonization that was used in Morocco allowed for the preservation of Moroccan culture and mostly peaceful relations. Because the period of colonization was relatively peaceful, when the independence movement started gaining momentum after WWII, the struggle for independence was primarily political and independence was achieved without violence. Because Morocco experienced very little violence during the period of colonization, foreign relations with Europe and the United States post-independence were relatively cordial. Today, Morocco enjoys close relations with the EU and the United States, and even has FTAs with both.ix Had things gone differently, Morocco would undoubtedly have had a harder time adjusting to its role as an independent state in the international arena. Comparatively, France’s approach to colonization in Algeria was incredibly destructive. The French wanted nothing less than to wipe out all traces of Algeria’s culture. The people native to Algeria were systematically oppressed and marginalized to a horrific degree.x Algeria’s brutal colonization, transitioned to a savage war for independence, and the trauma has reverberated through the generations, shaping the psyche of Algerians today. One such impact is that to this day Algeria is somewhat suspicious of foreign actors. This has inhibited well intentioned efforts at developing Algeria’s economy or integrating Algeria into more south-south trade. European programs like MEDA I and II and agreements like the Arab-Maghreb Union seem to miss their potential due to Algeria’s unwillingness to open up relations with other states. Algeria’s violent history has also imbued their culture with issues regarding respect and tolerance. This is most noticeable in Algeria’s relations with Morocco. If the two countries where able to normalize relations and open up to trade both would see huge benefits, particularly for Algeria. Unfortunately Algeria’s government is too prideful and not trusting enough to make a move like that, so Algeria continues to suffer in its self-imposed isolation. “Natural resource wealth is not always a blessing. Often, it goes hand in hand with poverty, corruption and conflict and seems to hinder rather than help sustainable development. For mineral wealth to have a positive impact, you need transparent policies and commodity flows and sustainable production systems. Additionally, Morocco’s government hasn’t been able to pacify opposition with generous handouts from oil rents in the way that the Gulf states do, so Morocco’s government has had to be much more responsive to popular opinion. 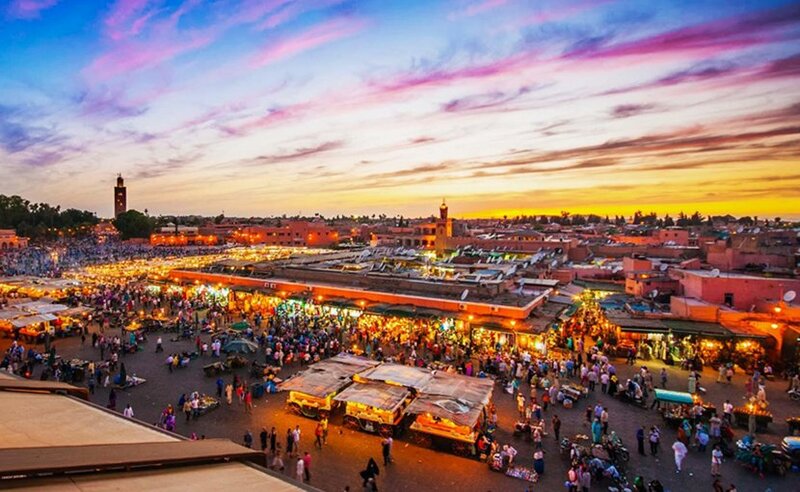 All too frequently states in the MENA region and the developing world fall victim to the resource curse, but by the luck of the draw Morocco has avoided this pitfall entirely. Be it luck, cultural heritage, the actions of a few intelligent leaders, or the voices of many; Morocco has pursued a unique path through history. The tacit influences of history and culture can be hard to bring down to earth, but coupled with distinct and measurable aspects of the political and economic world, they shape Morocco’s history. In many ways Morocco is very much like the other states in the MENA region, but where it counts the most Morocco has done things a little differently, and that makes a world of a difference today. i. Bellin, Eva. “The Robustness of Authoritarianism in the Middle East: Exceptionalism in Comparative 1 Perspective.” Comparative Politics: 139.
ii. Mansour, Samia, and Vincent Castel. “Morocco 2014 Economic Outlook.” African Economic Outlook: 1-13.
iv. Marcais, P. W. “Peoples and Cultures of North Africa.” The Annals of the American Academy of Political and 3 Social Science, 1955, 21-29.
vi. Martinez, Luis. The Algerian Civil War, 1990-1998. Columbia University Press, 2000.
viii. Pennell, C. R. “Conquest.” In Morocco since 1830: A History. New York: New York University Press, 2000.
x. Ruedy, John. “Invasion, Resistance, and Colonization, 1830-1871.” In Modern Algeria: The Origins and Development 7 of a Nation. Bloomington: Indiana University Press, 1992.
xi. Mansour, Samia, and Vincent Castel. “Morocco 2014 Economic Outlook.” African Economic Outlook: 1-13.